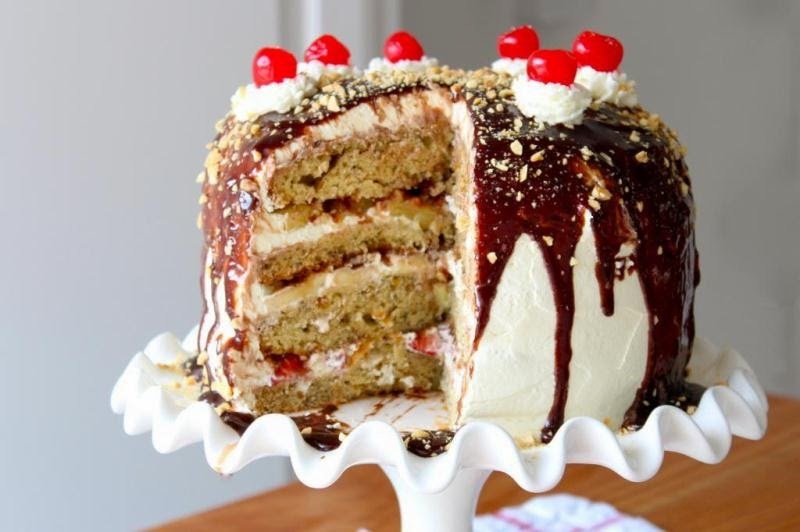 What could be more dreamy than a banana split cake! 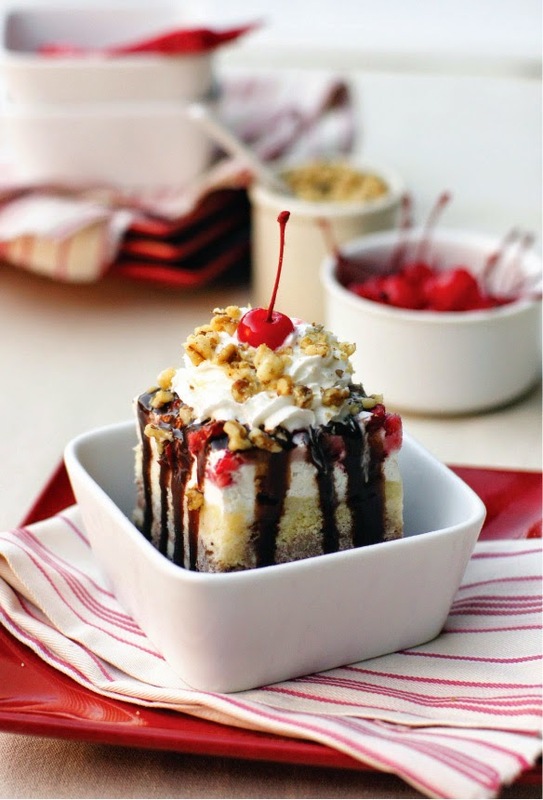 Fewer things remind me of my summers growing up than going to Dairy Queen for banana splits. I even used to collect the long plastic spoons that came with them. 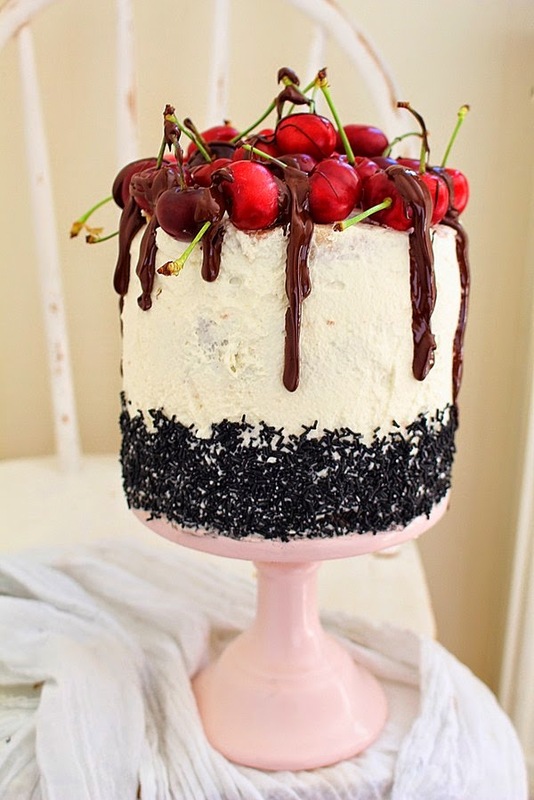 The idea of making a cake incorporating all of the yummy ingredients of a banana split is so fun and what a show stopper! 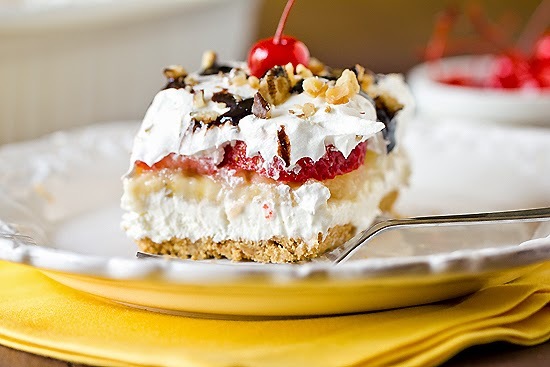 Sharing four wonderful banana split cake recipes with you today ... just click on each photo or the links below to see the recipes. Enjoy!